I visit schools all over the country. 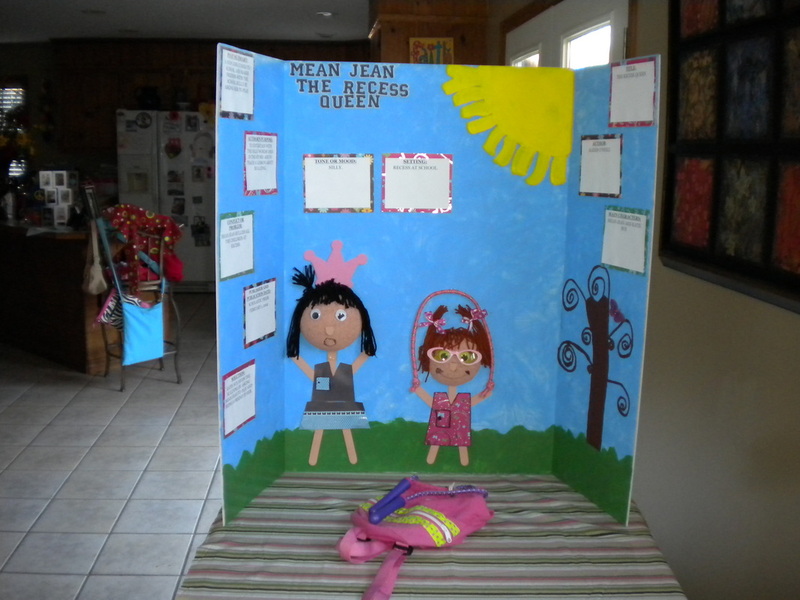 I'm always excited to see projects that kids and teachers have done related to my books. Seeing photos of my day at schools is fun, too. Then the frosting on the cake is when I receive fan letters and illustrations from readers. You'll find a taste of all this here in the Gallery - along with some photos of cats and other things I love. For other news, go to my blog, "Books, Kids, Cats and Chocolate." If you would like to get in touch, contact me here. 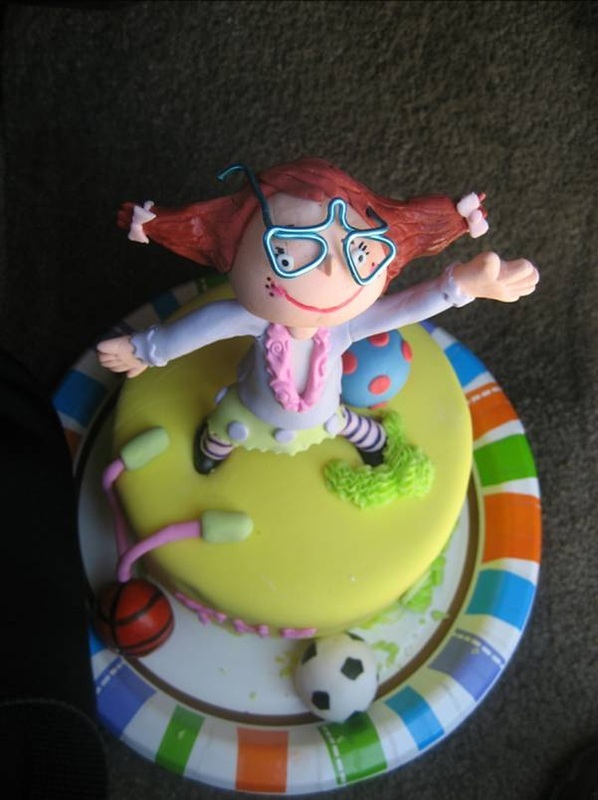 Katie Sue as a cake topper! Wow! 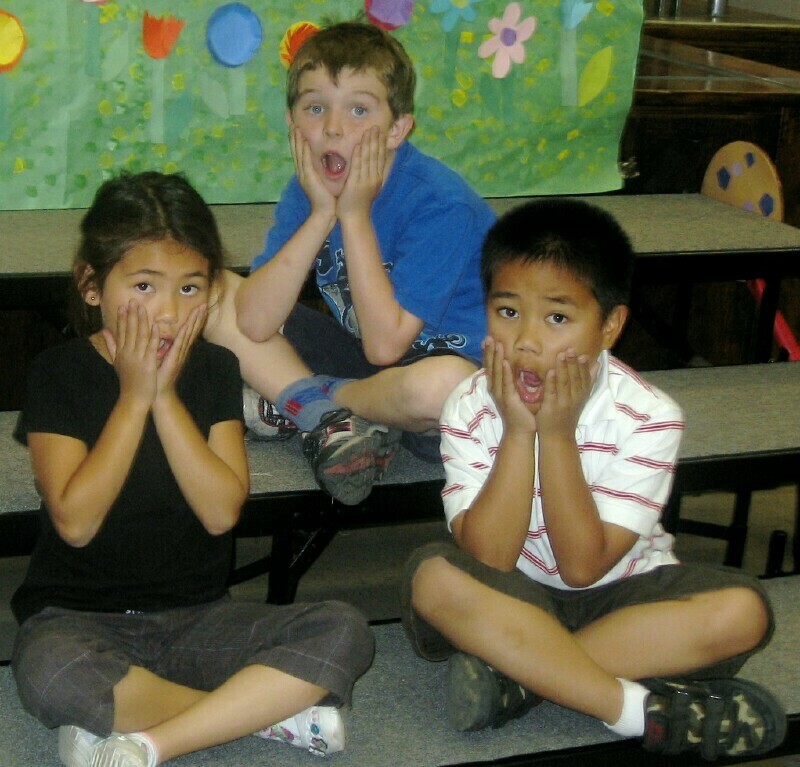 Young actors playing Playground Kids, are stunned when Katie Sue invites Mean Jean to play. 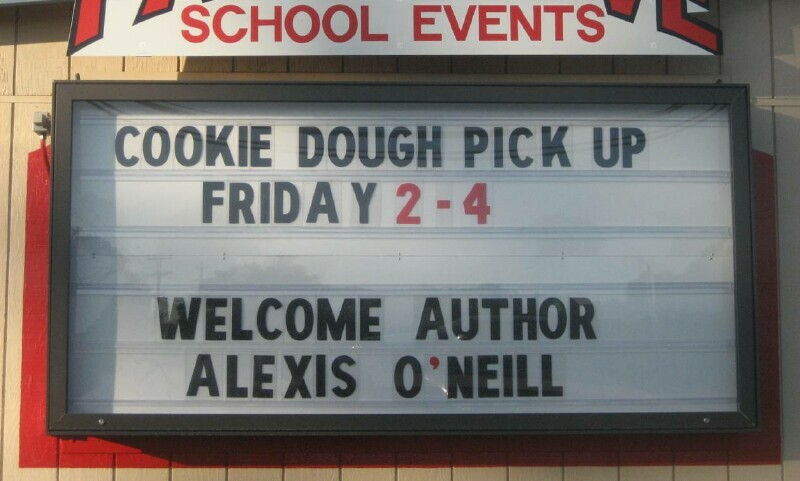 I love that I'm on the billboard, even though cookie dough gets top billing. A young artist's version of Mean Jean. A student's "book report" project about The Recess Queen. 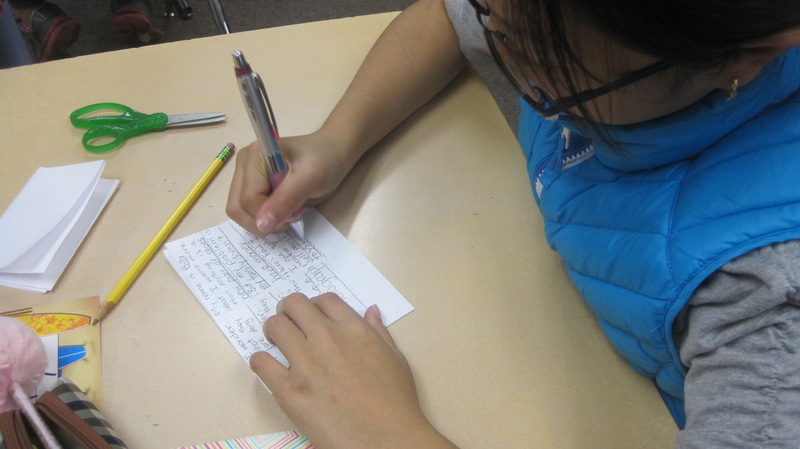 This student is hard at work in a writing workshop. 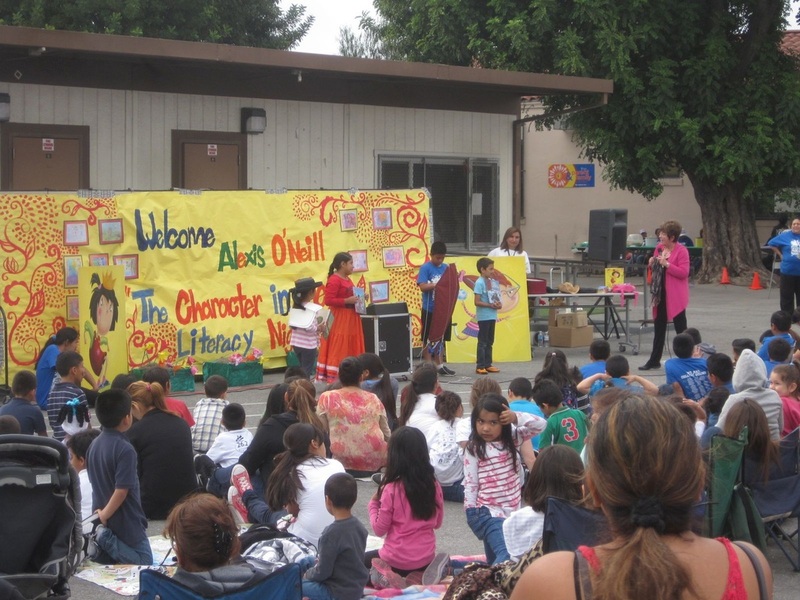 Family Night fun at San Gabriel Elementary School in South Gate, CA. 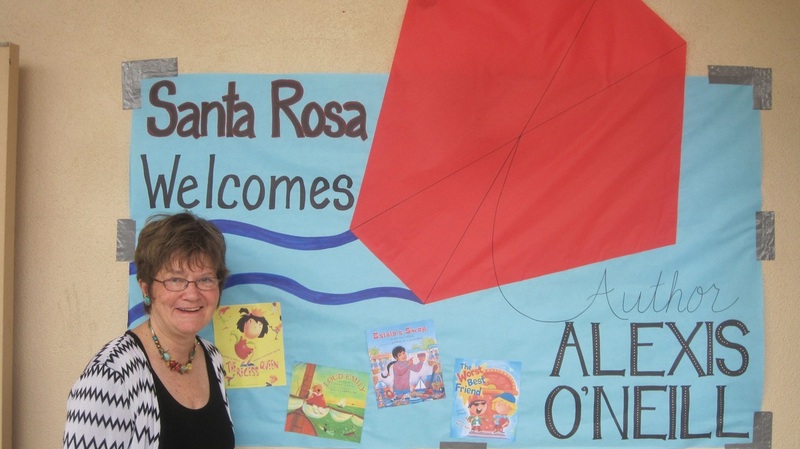 The PTA gave me a colorful welcome at Santa Rosa Academy in Atascadero.